RTP4000 true average power sensors provide 80 dB dynamic range and a frequency range down to 6 kHz. Built with Boonton’s Real-Time Power Processing™ these sensors deliver 100,000 measurements per second, no gaps in signal acquisition and zero measurement latency. 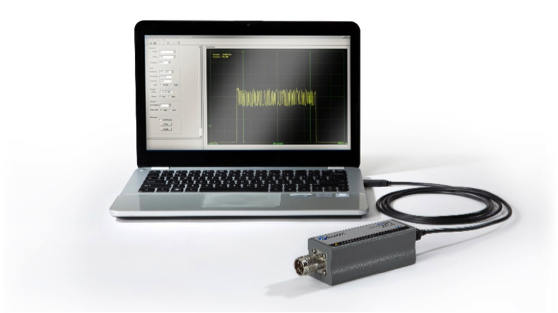 Combining this performance with pulse profiling, capture and measure of pulsed, CW and modulated signals, multi-channel capabilities and documentation tools RTP4000 average power sensors are the ideal instrument for fast, accurate and reliable RF power measurements. Real-Time Power Processing™ (RTPP) technology is a unique parallel processing methodology that performs the multi-step process of RF power measurement at incredible, unmatched speeds. While conventional power meters and USB sensors perform steps serially, resulting in long re-arm times and missed data, Boonton sensors with Real-Time Power Processing™ capture, display and measure every pulse, glitch and detail with no gaps in data and zero latency.